Learn the Superpower of a Unifying Vision! Communicating your vision is the key to Leadership! Leaders who build great teams know a secret: They understand how to enroll people in a unified vision. One big vision of purpose that brings everyone together, so all are working toward a common, noble purpose. 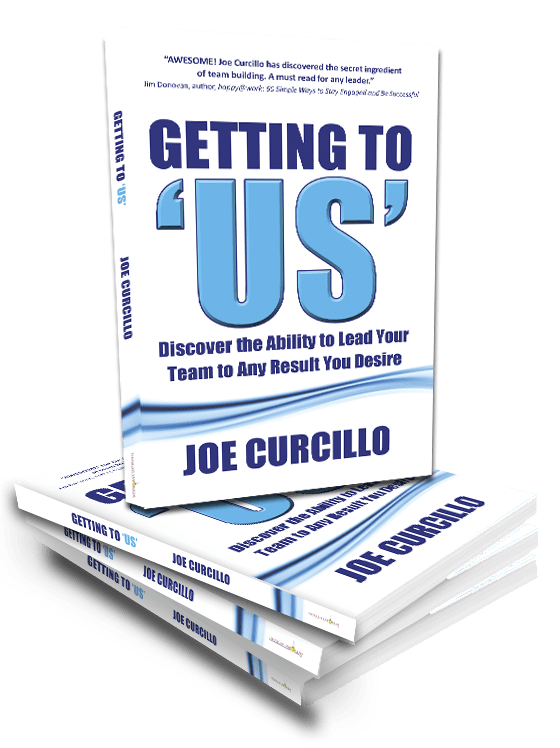 In Getting to ‘Us,’ Leadership & Communication Speaker, Joe Curcillo shows you how to take any group—apathetic or hostile ones—and make them enthusiastic, energized, and ready to go “all in” for your cause. Imagine what would happen if your business, your goals, and your dreams were a unified vision that people would dedicate their lives to achieve. If your vision creates a cause that allows people to contribute and feel noble, you will rise as a leader. For information on Joe’s LIVE presentation, go HERE! Build a powerful and unstoppable team by Getting to Us! Want to build a great Team? First, you have to get to ‘us’!